The Second Reading of the Budget 2019 was passed with a majority of 43 votes in Parliament yesterday. At the end of the seven day debate, 119 MPs voted in favour while 76 MPs voted against. The division was called by UPFA MP Dinesh Gunawardena. The UPFA and the JVP voted against. The TNA members voted in favour along with the Government members. Twenty nine MPs were absent. The notable absentees include UPFA MPs Mahinda Amaraweera, Nimal Siripala de Silva, Dr. Sarath Amunugama, Mahinda Samarasinghe, Duminda Dissanayake, Angajan Ramanathan, S.B.Dissanayake and TNA MPs E.Saravanapavan, Sivasakthi Anandan, G. Srineshan and S.Adeikkalanathan. CWC Leader Arumugam Thondaman voted in favour. MPs Dr. Wijayadasa Rajapakshe and Ven. Athuraliye Rathana Thera were also absent. MPs Asoka Priyantha, Ananda Aluthgamage and S.Viyalendran, who recently joined with the UPFA, voted against the Budget. The Committee Stage of the Budget will commence today and the final vote will be taken up on April 5. Parliament is to take up the President’s Expenditure Head today. The expenditure estimated for the President for this year is Rs. 13.5 billion. Out of the total allocated sum, Rs.8.2 billion is for development activities while the rest is for operational activities. Expenditure Heads of the President, Prime Minister, Judges of the Superior Courts, Office of the Cabinet of Ministers, Public Service Commission, Judicial Service Commission, National Police Commission, Administrative Appeals Tribunal, Commission to Investigate Allegation of Bribery or Corruption, Office of the Finance Commission, National Education Commission, Human Rights Commission of Sri Lanka, Parliament, Office of the Leader of the Opposition, Offices of the Chief Government and Opposition Whips, Leader of the House of Parliament, Elections Commission, National Audit Office, Office of the Parliamentary Commissioner for Administration, Audit Service Commission, National Procurement Commission and Delimitation Commission are scheduled to be taken up today. 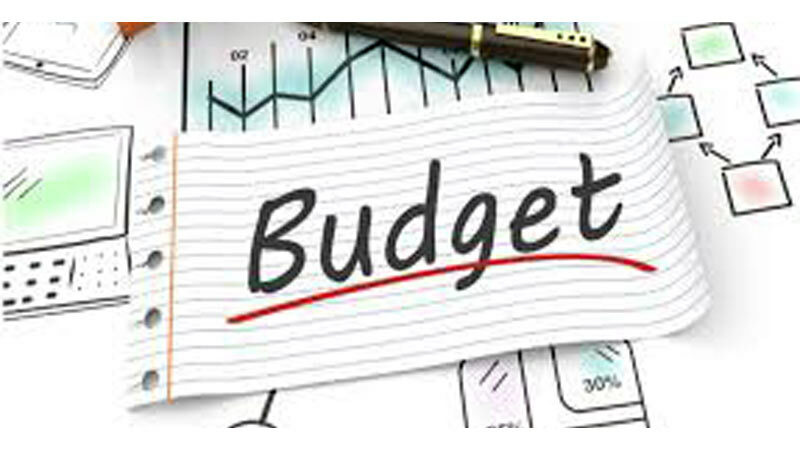 The Expenditure Heads of the National Policies, Economic Affairs, Resettlement, Rehabilitation, Northern Province Development, Vocational Training and Skills Development and Youth Affairs Ministry held by Prime Minister Ranil Wickremesinghe will be taken up tomorrow (14). The Ministry has been allocated Rs.98 billion. The Budget 2019 themed ‘Empowering the People and Nurturing the Poor’ was presented by Finance Minister Mangala Samaraweera on March 5.